Hollister Interview Questions and Answers Guide. 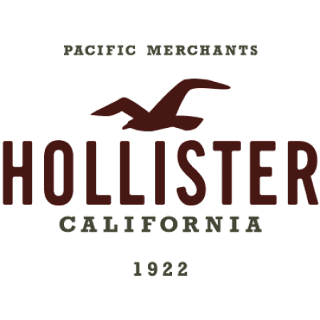 Hollister Interview Questions… The purpose of this article is to prepare you for your Hollister interview by providing background information about the company and giving you some basic Hollister interview questions. Hollister is a modern clothing retail store in the U.S. with a unique style. It is one of the leading places to shop for teens and young adults. The company presently has 600 stores nationwide. They offer both full-time and part-time employment. Remember that Hollister is a fashion company and appearances matter. Conduct research on the company and the available job openings. Review common Hollister interview questions and prepare answers. What exactly do you like about the Hollister brand? Answer: I love the flowing patterns, they jeans are so comfortable and the skirts last for a long time. Answer: I have always loved fashion and I want a chance to educate others about what Hollister has to offer. Are you comfortable making style recommendations to strangers? Answer: I love meeting and talking to new people and it’s the best part of the job position I am really looking forward to. Why do think you would be good for this position? Answer: I feel that I have great organizational skills and meeting deadlines is my priority. Also, I am able to work with little direct supervision. Why are you interested in a career at Hollister? Answer: I like the fact that Hollister offers both full-time and part-time employment. Also, the company’s tuition reimbursement programs are of great benefit. How do you feel about working during the holidays? Answer: Family is important and I also understand that holidays are the busiest times for Hollister. So I feel that with proper communication, I and the company can have a great sense of balance. Do you have any retail store management experience? Answer: I have six years of retail store management experience. I supervised teams which ranged from 15 to 25 employees at a time. What so outstanding about the Hollister work environment? Answer: The outstanding thing for me is how casual and laid back the environment is, which creates a welcoming atmosphere for both employees and customers. Do you have any experience with hiring and training new employees? Answer: Yes I do. I helped train new employees on basic cash operating procedures and floor appearance guidelines during my retail management career. Remember to keep the tips and sample questions in mind; it will be of great help to you in acing the interview.